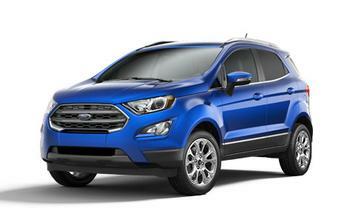 Ford recalls Ecosport vehicles sold in U.S. Federal Territories. Ford Motor Company is recalling 373 model year 2018 Ford Ecosport vehicles sold in the U.S. Federal Territories. The vehicles were shipped with the European brake reservoir pictogram cap label and the European English language owner's manual kits. Owners could be confused by the incorrect label on the brake fluid cap, potentially causing them to replace the brake fluid with an incorrect fluid which could affect brake performance, increasing the risk of a crash. he recall is expected to begin June 18, 2018. Owners may contact Ford customer service at 1-866-436-7332. Ford's number for this recall is 18C04.